One of David Getoff’s “Basic 7” products, listed on page 160/161 in his book, Abundant Health In a Toxic World. OMEGA 3 provides protection for and maintenance of the healthy function, fluidity and health of the cell membranes. Fish Oil contains the essential fats EPA and DHA which have anti-inflammatory effects and may act as a blood thinner. Fish Oil supports the body in achieving normal triglyceride levels. In people with rheumatoid arthritis, fish oil promotes joint movement and mobility, assists with improving functional status and helps reduce pain and medication requirements. It has been shown to reduce pain levels during menstruation. From the deep, unpolluted waters near Norway comes the finest cod liver oil which is naturally rich in vitamin A, Vitamin D3, EPA and DHA. Only cod fish caught during the winter and early spring are used, as the liver oil content is highest at this time of year. The oil is separated from the liver tissues without the use of chemicals. To insure freshness of Carlson’s Norwegian Cod Liver Oil, the air inside the glass bottle has been replaced with nitrogen. 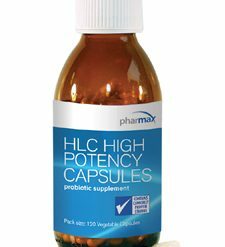 This product is regularly tested using AOAC international protocols for potency and purity by an independent, FDA registered laboratory and found to be free of detectable levels of mercury, cadmium, lead, PCB’s and 28 other contaminants. Which Fish Oils Contain Vitamins A and D? 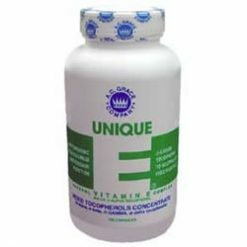 Vitamins A and D are widely recognized as essential nutrients in adults and children. Only Cod Liver Oil naturally contains Vitamins A and D as the oil is from the liver of the fish, rather than the body oil. What is the Natural Form of Vitamin A in Cod Liver Oil? Vitamin A palmitate (retinyl palmitate) naturally occurs in cod liver oil. Humans and animals store Vitamin A in their bodies in the form of Vitamin A palmitate. Carlson Cod Liver Oil contains only naturally occurring Vitamins A and D.
Does the Term “Pharmaceutical Grade” Have ANy Meaning RElated to Quality? Pharmaceutical grade is a term used as a marketing strategy for selling fish oils. Any company selling fish oils can put this term on their label or into product literature, regardless of their quality. The term by itself is ambiguous – there are no defined standards for using the term “pharmaceutical grade” in the marketing of fish oil. Distillation is a process whereby a liquid mixture is heated and the vapors are condensed and collected as separated liquids. Molecular distillation, also known as short path distillation,is a process using low temperatures with low vacuum pressure for the separation and collection of different components in fish oils. Molecular distillation can be, but is not always, a process for the removal of contaminants. Does the Term “Molecularly Distilled” Have Any Meaning Related to Quality? Molecular distillation is one of many processes that may be used in the separation, concentration and purification steps of preparing fish oils. The process itself does NOT guarantee the quality of fish oil. however, some companies use the term “molecularly distilled” as a quality statement for marketing fish oils. When performed under appropriate parameters, molecular distillation can be a useful purification step for fish oils. However, it does not guarantee potency or purity. Does Carlson Laboratories Use Molecular Distillation? Yes, molecular distillation, when desirable, is used in the purification and concentration steps of our fish oil products. David Getoff, CCN, CTN, FAAIM, recommends to his students in his classes to take measuring teaspoon per 40 – 60 lbs. of body weight taken once a day with the meal of you choice. It is always best to consult with your Healthcare Practitioner. *These statements have not been evaluated by the Food and Drug Administration and are not intended to diagnose, treat, cure, or prevent any disease. 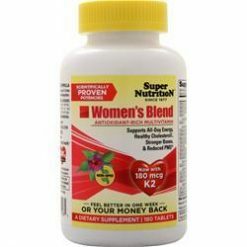 Super Nutrition Woman’s Blend. 180 Tablets.